A new international trailer and poster have surfaced for director Rian Johnson's Star Wars: The Last Jedi. 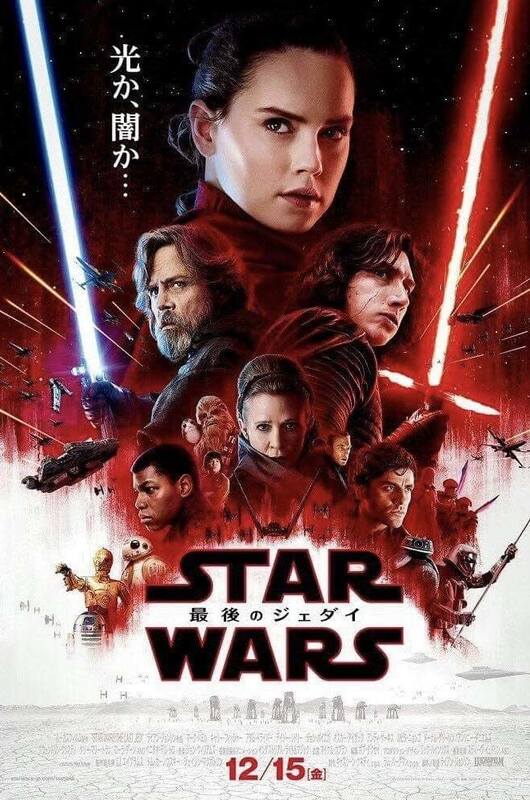 The poster above features a re-arrangement of the characters but the most noticeable thing is that we see Luke Skywalker (Mark Hamill) wielding his lightsaber, which is pretty rad! With Luke making his big comeback in this movie, fans have been excited about seeing him fight again with his lightsaber. I know it's something that I can't wait to see! As for the trailer, it mostly shows us footage that we've already seen, but there are bits of new footage as well featuring Rey (Daisy Ridley), Kylo Ren (Adam Driver), C-3PO, and Poe Dameron (Oscar Isaac). It's not much, but it's something to keep rabid fans like myself happy and excited. Star Wars: The Last Jedi opens on December 15, 2017. I'M SO EXCITED! Two New TV Spots For STAR WARS: THE LAST JEDI Includes Some Exciting New Footage!